Milling Attachment for Mini Lathe bolts to top of cross slide of 7x10, 7x12, 7x14 and 7x16 mini lathes to hold stock while milling with a cutter mounted in the headstock. Moves 3-1/2 inches vertically. Rotates on the cross slide pivot. Tilts up to 50 degrees left or right of vertical. 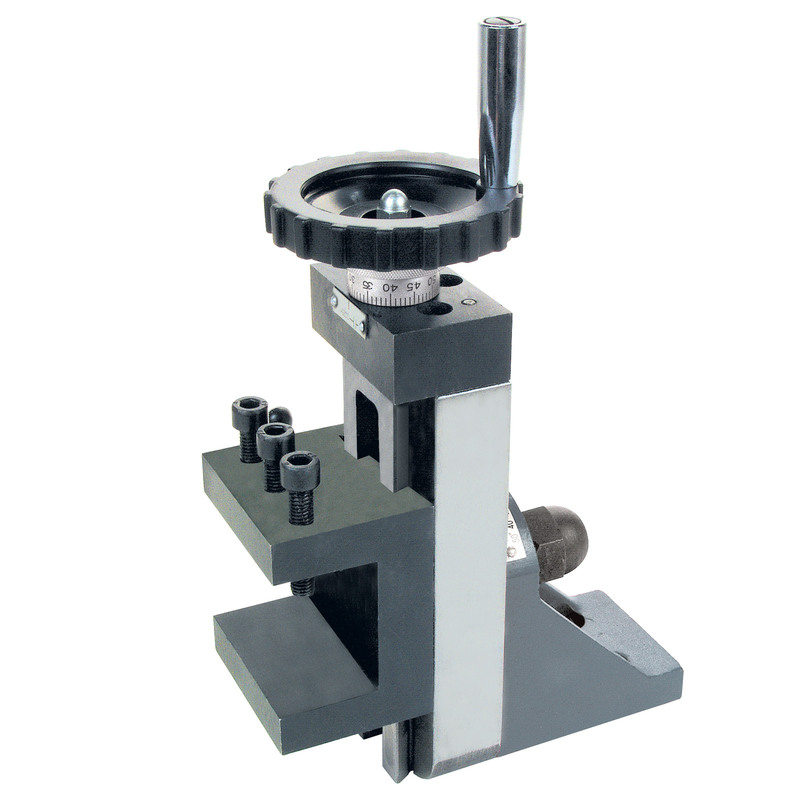 Heavy duty 2-5/8 inch wide vise holds workpieces up to 2 inches high. 16 tpi lead screw. Includes adjustable gibs and lock lever. Made of cast iron and steel with molded handwheel.